Follow us on instagram @musicworksasheville for visual updates! MW! performed for the community in concert with the Asheville Jazz Orchestra. The AJO contributes their talents for the benefit of jazz education and local schools several times throughout the area. MW! students jammed with the members of the band on several tunes. MW! students performed for international pianist Emanuel Ax and his protégé Orion Weiss at the Thomas Wolfe Auditorium in Asheville. The pianists were in town for the Asheville Symphony's successful Asheville Amadeus festival which brought together many wonderful artistic, cultural, and culinary institutions across the city. The students played with and for the pianists, variations on Mozart's Twinkle Twinkle Little Star. MW! students played the music of Mozart...Leopald Mozart, the father of the famous Wolfgang Amadeus Mozart. Students performed the father's Toy Symphony, a piece for percussion and orchestra. This was a first performance for MW! 's Orff Ensemble. El Sistema proudly celebrated its 40th birthday with celebrations around the globe and a massive concert in Caracas this year. El Sistema USA sent its well-wishes through a video created by programs across the nation. MW! students were proudly featured in that video. MW! students performed for the Asheville Symphony Guild. The Guild donated a beautiful violin as a "thank you." MW! students performed for parents and parishioners at Grace Covenant Presbyterian. Our host, organist and Minister of Music Jeff Jones, performed children's pieces and discussed the mighty pipes of the church's impressive organ. The ASO put on quite a show. MW! 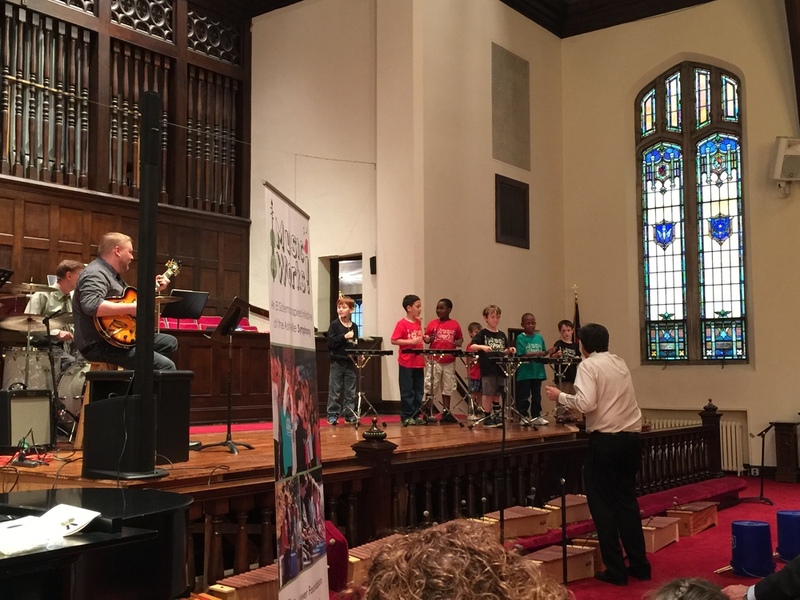 students were one of the featured groups to perform alongside the professionals of the Asheville Symphony Orchestra. Students performed an Orff accompaniment to Mozart's Eine Kleine Nachtmusik. MW! mentors are older students who assist their younger peers in musical and academic study. They have their own ensemble which performed for the Hall Fletcher and Vance Elementary schools PVA open house.